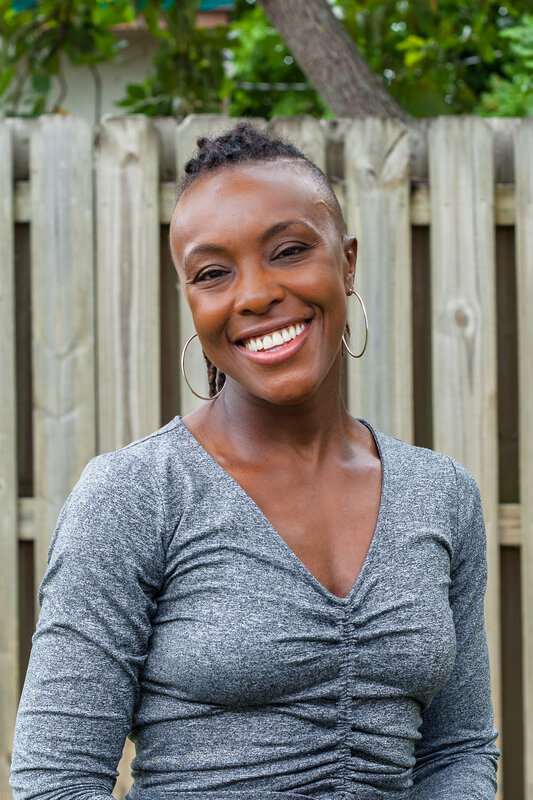 One of the founders of The Gathering Place, Michelle is a birth & postpartum doula, childbirth educator, yoga instructor, and a passionate breastfeeding and natural birth advocate. Michelle is the mother of six children and has given birth in hospital and at home. Her background is in women's studies, community building and organizing, and birth options advocacy. Michelle has been attending births and supporting women through the childbearing year for over 25 years and is the co-founder Project Motherpath (formerly Birthgirlz), a non-profit organization working to normalize and revalue all aspects of motherhood in our communities through education, outreach and activism. Florencia is a trained birth doula(DONA) by Ana Paula Markel, a certified Post-Partum doula (DTI), certified breastfeeding educator, certified baby wearing instructor (CBWS) and an ICEA trained childbirth educator. She has a B.A in Finance but found her calling as a doula in 2011. Her difficult pregnancy and post-partum period inspired her to nurture other mothers like the women around her had done for her. She had a natural water birth with her son Lucas but is fully supportive of the type, setting or method a mom chooses for her birth. She firmly believes in informed consent so that moms can be empowered through whatever choice they make. Florencia attributes who she is as a doula on her training and experience, but mainly on the families that she has served, as they always teach her an important life lesson and great friendships. She is also fluent in Spanish and English. hospital. She has supported women seeking an unmedicated childbirth, planning for an epidural, having a VBAC (vaginal birth after cesarean), having twins, high risk births, as well as cesarean births. Her belief is that every woman deserves a safe and empowering birth experience, and therefore she provides information, support, and a wealth of compassion and sensitivity to each of her families. Fabiane is fluent in English and Spanish, she has a background in psychology, nursing and midwifery. I am a Miami Native; who has always had a passion for childbirth and supporting families during the transformative time of parenthood. I initially obtained my bachelor’s degree in anthropology from FIU. However, In 2015, I decided to turn my passion into a career. As a Birth Doula, I strive to provide emotional, physical and spiritual support with a grounding presence and valuable information. I believe that each and every birth is a unique experience and feel deeply grateful to be able to serve families in their journey. Aside from being a birth doula, I also enjoys creating belly art in the form of belly paintings, henna, and belly castings. I speak English, Spanish, and some French. My philosophy is not only are women capable of delivering babies but they are best able to do so with enough knowledge as labor progresses on its own. I am only called to encourage and inform you about what you can do to have the birth experience you desire. If there is any alteration of the picture of birth desired by a client and interventions are necessary, it should be due to circumstances completely beyond her control. I believe she can and will birth as she was designed. Wherever my client decides to give birth, whether in the hospital or out-of-hospital birth settings, I want my clients to feel comfortable to be themselves, safe to speak up for themselves and certain that I am the doula for them, an advocate for the baby's well-being and helper for the family they are building. As a doula, I draw on my knowledge of birth, as a physiological (natural) process and personal experiences to provide emotional support, physical comfort and, as needed, communication with the staff to make sure that you have the information you need to make informed decisions during labor. I am also there to help your partner transition your family thru a very tender time. I believe partners also have a “birth” of sorts when they watch or participate in the birth of their child/ren. I love to empower partners to be the best fathers to their children by encouraging them to use their voice throughout the entire process. My family immigrated from Port-au-Prince, Haiti over 30 years ago. I consider myself to be Haitian-American although my husband a Florida native, would beg to differ. I speak fluent Haitian-Creole and understand some French. We have four rambunctious, naturally-birthed boys, ages 7, 5, 4 and almost 2. Some of my hobbies include spending quality time with my family, my friends at church, cooking, pinning recipes on Pinterest, reading (mostly online), karaoke, spoken word, and working out when I have a chance (my main workout consists of running after my 4 boys!). After experiencing the healthcare system first hand during my pregnancy and the delivery of my son, I saw many areas that needed improvement and became passionate about assisting women during childbirth. I started by volunteering for the Miami Rescue Mission pediatric clinic and also worked as a registrar for Nicklaus’ Children Hospital in order to gain familiarity with the lived experiences of families of the South Florida area. Now in the role of doula and lactation educator, I am committed to support mother and partner during the sacred journey of childbirth and make the transition into this world as smooth as possible for baby. Currently a prospective student of medicine, I hope to one day become an obstetrics and gynecology doctor and build a practice that is evidence based and incorporates knowledge from midwives and other birth professionals. My hobbies include culinary arts, macrame and yoga. Thanks to my background, I am glad to accommodate French and Russian speaking clients. I trained as a doula with Doulas of North America (DONA) four years ago and have since been dedicated to serving as gentle reminder to expecting mothers of their capabilities during pregnancy, childbirth and postpartum periods. I have a Master's of Science in Traditional Chinese Medicine and Acupuncture, a Bachelor's of Science in Health Science and a Bachelor’s of Science in Alternative Medicine. I meet the mother and her family where they are, wherever that may be, offering education, acceptance and support. I am a wife and mother to a curious and active little girl who loves to explore nature and spend my down time volunteering with high school students who are expecting, providing them insight and support as they complete their education and prepare to for motherhood. With over 16 years of birth doula experience, I am a certified birth, postpartum & breastfeeding professional. I provide continuous physical, emotional and informational support to the birthing family before, during and after the birth. The goal is to support the birthing person and increase the family's emotional capacity to birth beautifully in their very own way. Whether you're planning a non-medicated birth, to receive an epidural, a home birth, birthing at a hospital or birth center, having a planned c-section, hoping to avoid a c-section or if you have no specific plan at all, I can help! While birth doulas are commonly used in non-medicated births, consider my support for any way you hope to birth. I also love helping families plan their postpartum life to be sure the transition is as manageable as possible for each member. Bringing home a baby (or babies) is a special undertaking. I can help you enjoy the time by keeping you focused on the moment, remind you of your options and ushering in practices and habits that encourage a healthy recovery. Being a doula, childbirth educator, and providing breastfeeding support has brought so much fulfillment into my life. My biggest pursuit as a doula is to educate birthing families and also instill the confidence in them to be able to make decisions that fit best with their lifestyle. I decided to become a doula after my own birth and postpartum doula created such a difference in my own process into motherhood, along with my husband’s. Serving at all types of births– home, birthing center, and hospitals is extremely enjoyable. They are all unique not only to their location but also to their experience. I am always endeavoring in continuing education, as birth evidence changes and evolves quite often. My job as a birth worker allows me to provide the support parents and babies need in order to ease the transition into the wonderful life of parenthood. Monique Renee started her doula journey after the birth of her child, Josiah, 3 years ago. Having a doula in the hospital during her birth helped her harness her power and voice her needs, to birth the way she needed to. After her birthing experience, she knew she wanted to offer this kind of care to other women/birthing people. As a full spectrum doula, Monique offers support for a wide range of pregnancy related experiences. She comes to this work with a social justice lense, acknowledging the need for accessible and culturally appropriate care for clients. As a certified herbalist, she is qualified to guide clients to work with gentle, safe and supportive herbs, during pregnancy birth and postpartum. 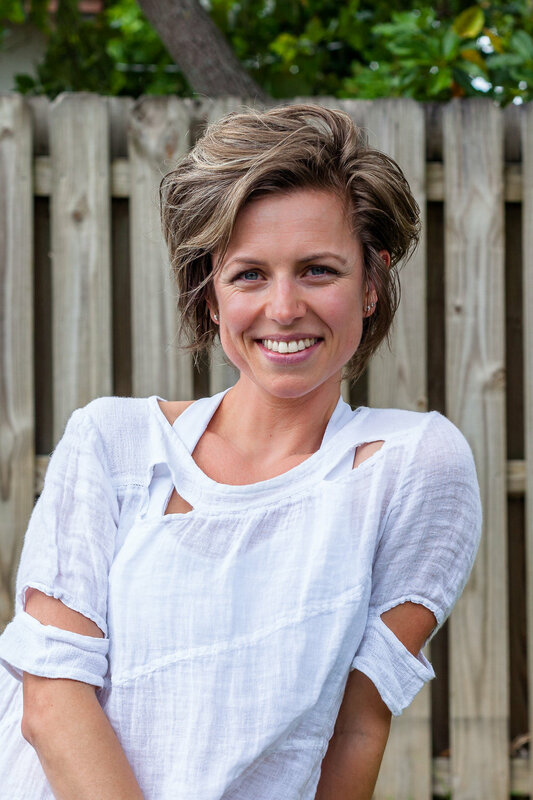 She specializes in herbal postpartum care, providing herbal baths, and rejuvenating tonics to maximize healing. My number one goal is to educate, encourage and support mothers in mycommunity and beyond. After hanging up her apron from what seemed like an eternity in the professional kitchen, she transitioned her energy towards the preservation of female empowerment and alternative medicine. Samantha, known as Sam by most is a genuine gal who is eager to please. She believes that all women deserve to be nurtured, respected and loved, always. Even more so during and after pregnancy. While training at the Magnolia Birth Center, her interest for vaginal fumigation increased and she is currently on her way to obtaining a vaginal steam facilitation certification. Samantha is proud of her ancestral knowledge and feels more awakened each day thanks to her piers, mentors and other like minded individuals who are guiding her through the sacred journey of divine birth work. Jokingly known as the Cuban Capital of the U.S, she was born and raised in Hialeah, FL. Her hobbies include spending time with her family and contributing to her Caribbean cook book. She looks forward to serving all women with honor and pride. I received my Bachelors Degree in Communication and Culture from Howard University in 2013 and my Masters Degree in Community and Social Change (with a focus in Public Health and International Administration) from the University of Miami in 2015. I have worked with children my entire professional career as an educator, a mental health advocate, part-time nanny, and therapist. I developed an interest in becoming a doula after my best friend from elementary school had a particularly traumatizing birth experience with her first born son. After completing research on shocking statistics on women of color during pregnancy, labor and delivery, and postpartum, I decided to register and complete the doula program at the Gathering Place. I have attended 6 births, internationally, since becoming a doula and have completed approximately 120 postpartum hours. Corina Manders completed her doula training in Miami and is currently on her journey to become a certified doula. Her interest in being a doula began at the start. She was born at home surrounded by midwives and family, and raised with strong values of service and compassion. Corina went on to pursue a bachelors degree in social justice through community art, a graduate degree in social work and recently became a Licensed Clinical Social Worker. She has a decade of experience working in foster care, facilitating community mural projects, and starting a small dream catcher business. Corina is currently working as a counselor at a homeless shelter for women and children, and provides individual counseling and group art therapy. Corina wants to work with individuals and families during the postpartum experience. As an LCSW, she has experience working with diverse populations and as an advocate for individuals and families to grow from within. Corina was drawn to doula work in order to create a safe space for new families that is both supportive and nurturing, compassionate and non-judgemental. She brings with her a calm energy, and the understanding that every family is different. Corina is currently living in Miami Beach with her husband and rescue dog Harper. She loves working as a counselor, crafting at home, spending time in the wild and all things animals. My journey into birth work and supporting mothers-to-be and post partum mothers, was ignited by my own journey into motherhood. I have a passion for being of service, helping and supporting women in all facets of motherhood, and helping new parents embark on the transformative experience of becoming a family. I am called to this work to help women truly connect with themselves, the greater sisterhood, and with the world around them during their pregnancy and postpartum period. I believe that childbirth can be a life changing and beautiful experience that should be honored and supported to help facilitate a stable foundation on which the entire family can grow. I originate from the US Virgin Islands and bring my culture and roots with me. Coming from a Caribbean background, I’m fluent in French Creole and West Indian patois. My island heritage has granted an ease with all cultures, religions and lifestyle practices. My education includes a Bachelor of Science in Biology from Loyola University New Orleans and certification as a home health aide and a Certified Nursing Assistant. In my free time, I can be found with my beautiful four year old daughter at the beach, in nature, baking and cooking, and educating myself through seminars and self study.